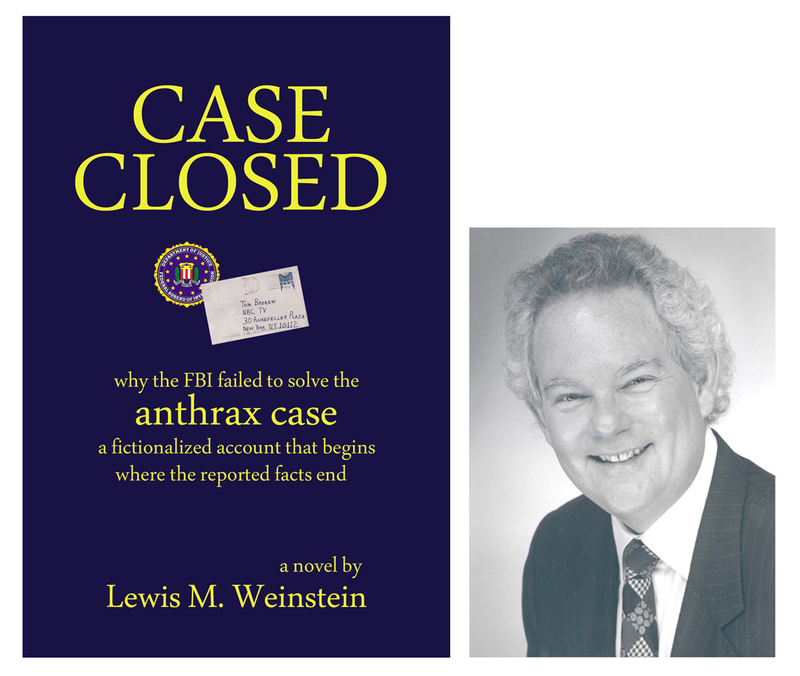 National Academy of Sciences « CASE CLOSED … what really happened in the 2001 anthrax attacks? * still no answers from NAS … no report … no documents … no explanation … who do they think pays their salaries? I sent the following email to Steven Kendall at NAS. No response. 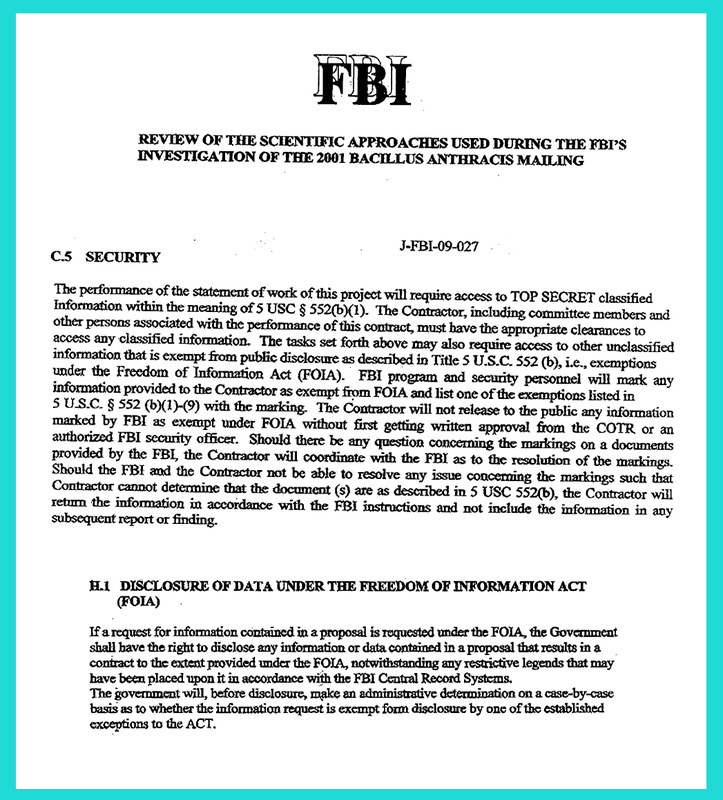 Is there any specific information regarding the “reported” FBI/NAS contract extension? Any up-to-date estimate on when the NAS report will be issued? Will all documents submitted to NAS be made available at the same time as the report? 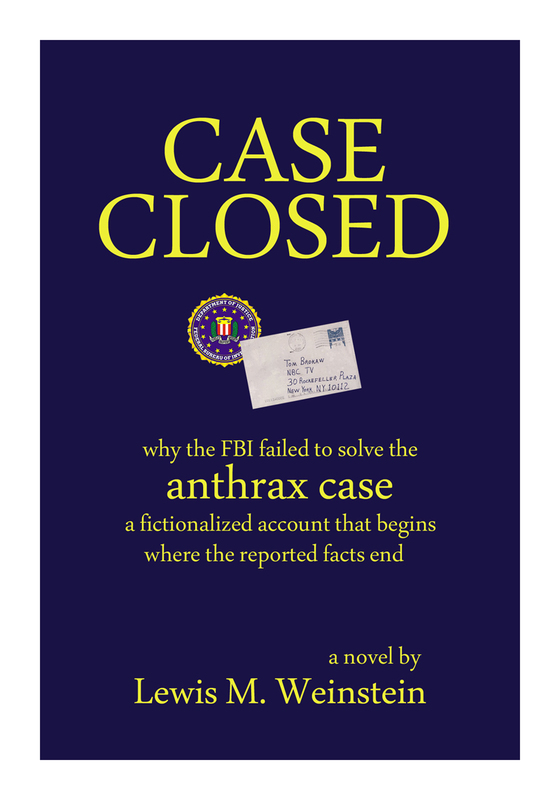 I’d like to be able to report your answers at the anthrax seminar scheduled for 11/29 in DC. 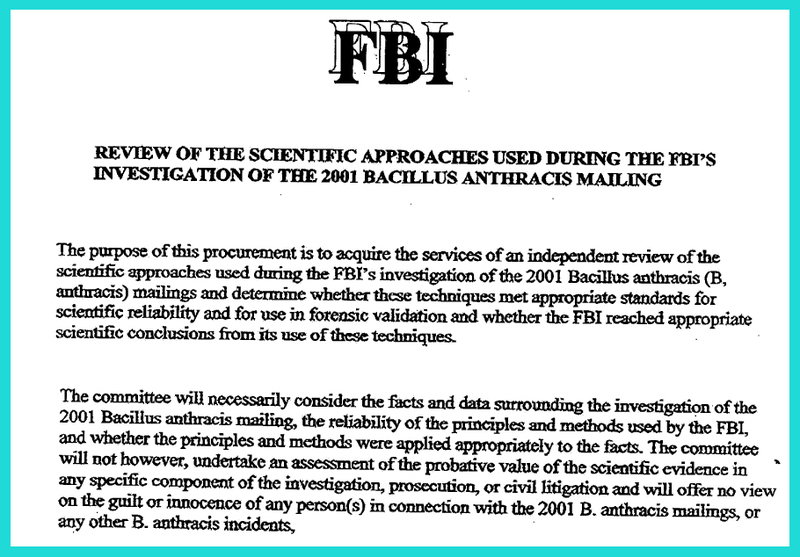 (3) FBI’s anthrax expert at USAMRIID, John Ezzell, who examined the mailed anthrax for the FBI. He tells me made dried powder using anthrax from Flask 1029 that had been gamma irradiated. He made it at the request of DARPA and gave it to the Johns Hopkins researchers. He used a lyophilizer on the spores that were gamma irradiated while in the slurry. His testimony is critical to a proper understanding of the issues. (6) Although it should be in a closed presentation, Dr. John Kiel, who headed the Air Force lab, could testify about the controlled experiments his lab did on the reason for the silicon signature. They involved a silanizing solution in the slurry before drying. 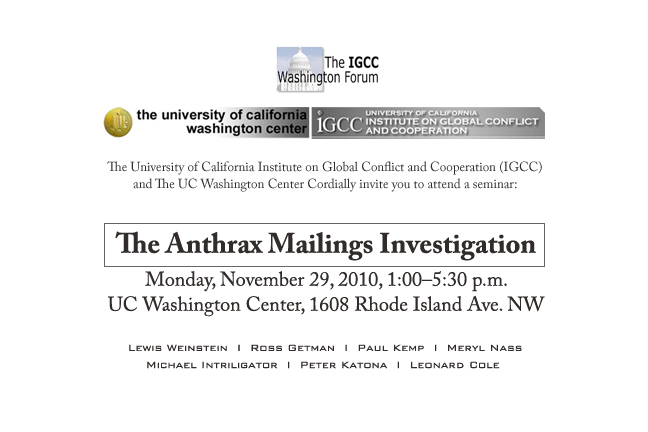 He is an expert in making anthrax simulant, whose lab in April 2007 did controlled experiments on the precise question presented — it is important he be invited to present if he hasn’t already done so. The report is expected to be released this summer. I need to check on meeting schedule but I believe they’re deep into writing of report, which needs to be peer reviewed prior to approval for release. 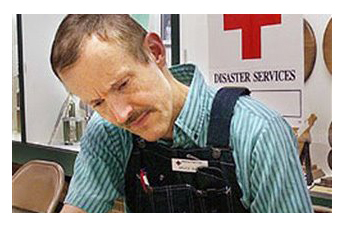 The DOJ maintains that Dr. Bruce Ivins, who in 2002 passed a polygraph test regarding the anthrax attacks, was the sole perpetrator. 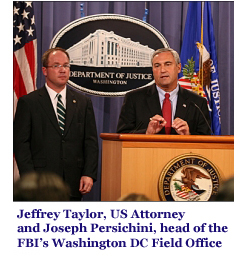 In an investigative summary, the DOJ characterizes Ivins’ passing of the polygraph as part of an effort to “stay ahead of the investigation,” alleging (at p. 84, fn. 51) that he used countermeasures to fool the polygraph. 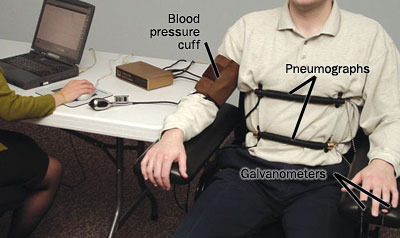 While FBI and DoD polygraphers claim that Ivins showed “classic” signs of countermeasure use, it should be noted that no polygraph operator has ever demonstrated the ability to detect polygraph countermeasures. The question of whether an alleged biological terrorist fooled the polygraph is a crucial one for national security. 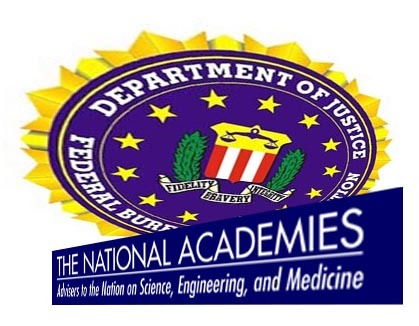 The polygraph remains the centerpiece of America’s personnel security policy–despite the conclusion of the National Academy of Sciences that it’s junk science. In addition, comments that Ivins allegedly made regarding his polygraph examination suggest that he really did not understand polygraph procedure.